The Green Party in Cork has called on the public to show its support for the Patrick’s Street traffic restrictions when they are reintroduced from Thursday. The party has invited people to come into the city centre on Saturday and Sunday afternoon to experience the new arrangements on Patrick’s Street, including free Park and Ride on Saturday afternoons and cut-fare bus services from Thursday. 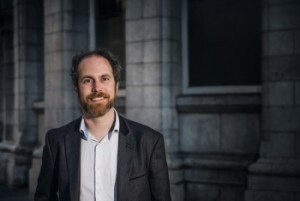 The party has especially encouraged people to sign-up to the Cork bike share scheme and enjoy the experience of cycling up Patrick’s Street on a bicycle, free of traffic, which it says is a “unique experience” for the city. The Green Party led calls for better public consultation and practical improvements to the Patrick’s Street scheme when it was introduced first in March of this year. The party held a workshop with traders, the outcome of which it submitted to the city council executive.